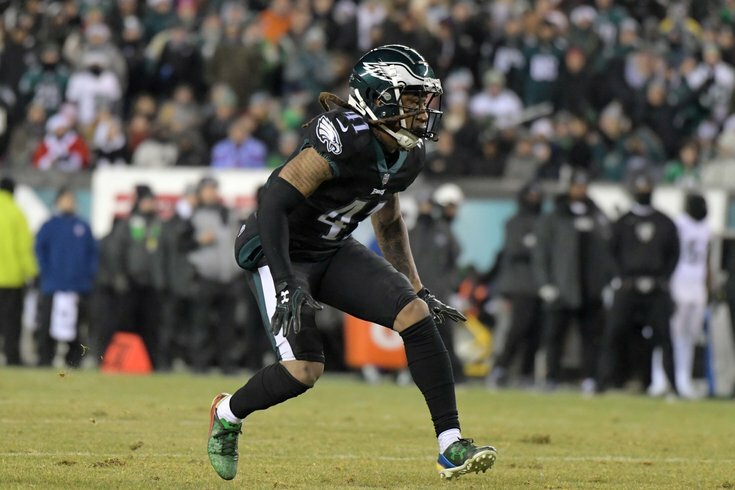 All offseason long, trade rumors involving Philadelphia Eagles cornerback Ronald Darby have been present, because the Birds are loaded with quality young corners, and Darby is the only one heading into the final year of his contract. Should a deal be struck at this point (which is beginning to look like a long shot), any interested teams better make with a pretty robust offer, because the Eagles have been very pleased with what they have seen from Darby this offseason. "I would probably put it in this classification also, he's had, if not the best, one of the best, offseason’s of any of our players, going back to the first day of phase one and then phase two, phase three, minicamp, training camp," said Jim Schwartz on Monday. "He’s been very consistent. Came to us late last year, was sort of thrown into the fire, then got hurt and missed a lot of time. It was a difficult situation. We're really excited about where he is. "The coaches see it, the players see it. He's playing with confidence. I think the last step he needs to do is he needs to turn those PBUs into interceptions. PBUs are great, but interceptions are game-changing plays. He's working really hard at it. We're excited where he is." The media sees it too. It's obvious. For example, we named Darby as one of the five players who impressed during training camp last week. (A)fter coming into the Eagles' system late last season, Darby looks comfortable within the defense, and has shown his natural gifts on a daily basis. Those "natural gifts include 4.38 speed, a 1.47 second 10-yard split, a 41.5" vertical jump, and a 129" broad jump, all of which are around the 90th percentile (or better) of corners competing at the Combine since 1999. So why is Darby looking better now than ever before? "I'm just locked in," Darby said. "I missed two months last year, so I really didn't have an offseason. (This year), I took my time off, celebrated the Super Bowl, and then when it was time to lock in, I locked in. "Every year I feel like you get better, whether it's learning stuff, learning situations. Like when I was younger, I ain't never paid attention to situations and stuff like that. Now I'm starting to pick up situations, and what the offense is trying to do. Things like that." In last Thursday's preseason game against the New England Patriots, Tom Brady tested Darby deep twice, and both times Darby made good plays on the football, as shown here by Fran Duffy of PhiladelphiaEagles.com. If Darby has a good season, and then bolts in free agency next offseason, he is very likely to get a hefty payday, as teams around the league are desperate for good, young corners. As such, it's reasonable to expect that the Eagles could potentially receive a 2020 third-round comp pick in return if indeed Darby finds a new home in 2019. With that in mind, any compensation the Eagles were to receive in return for Darby in a trade would have to be substantially better than that potential 2020 third rounder, as Darby obviously has significant value to the team this season. In other words, at this point, I would bet on Darby remaining with the Eagles in 2018.